Local search marketing (local SEO) is complicated, but it’s the best way to stand apart from your competition in a world where consumers have access to more information (and more choices!) than ever. Where should you get started with local SEO? Try citation building. Citation building is the foundation of any great local search strategy. When done right, it’s the best way to streamline and correct your online information so that you show up in the right searches at the right time. But, it’s tricky. When done incorrectly, citation building can get your business punished by search engines, lowering your local search ranking. 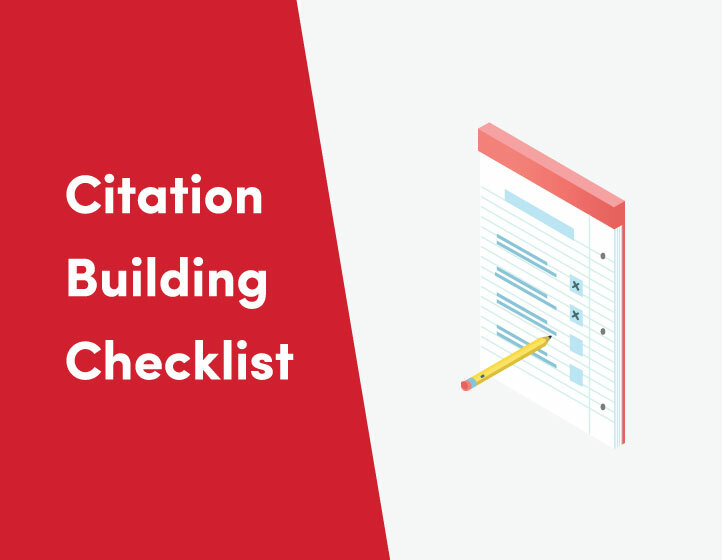 That’s why we created this citation building checklist to help get you started building citations the right way. Click the button below to download your free citation building checklist. Remember, when building citations, you want to make sure your address is correct and consistent across platforms. So, be sure to use the same address across all listings. This means not varying between “St.” and “Street,” since even something this seemingly insignificant can have a negative impact on your local search ranking. You’ll also want to be picky with the listings and search engines you choose to add your business to. Stick with the most important websites for your industry and location so that you don’t waste your time building citations that don’t contribute to a spotless online presence. And, if you’re ready for a more in-depth introduction, check out this blog post that will teach you how to increase your search engine ranking with citation building.